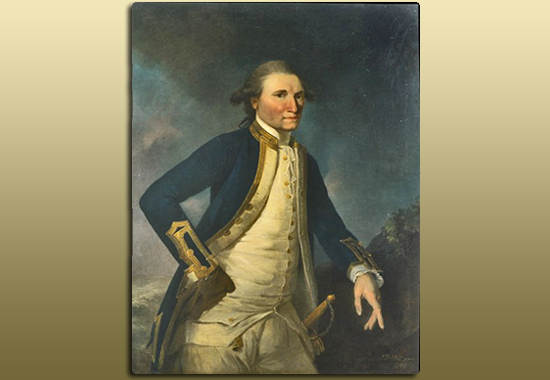 Captain James Cook was a British explorer who ended up at a Hawaiian BBQ. As the roast. Among others, Cook took with him mapmakers, artists and a number of scientists. One of them was Joseph Banks, a well-known botanist. Another one was Charles Green, an astronomer. One of James Cook's missions was to observe the movement of the planet Venus from the island of Tahiti. And nobody knew for certain, but it was suspected that a large continent was to be found in the South Pacific. Here is the map of James Cook's expeditions in the Southern Pacific. James Cook mapped the coast of New Zealand and the east coast of Australia, 5000 miles of coastland which he claimed for Britain.